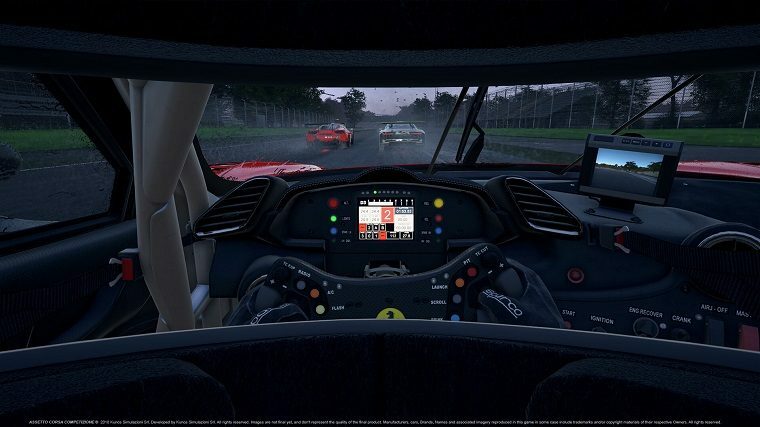 Assetto Corsa Competizione is the second major simracing title by Italian developers Kunos Simulazioni, building upon the success of the first Assetto Corsa game. 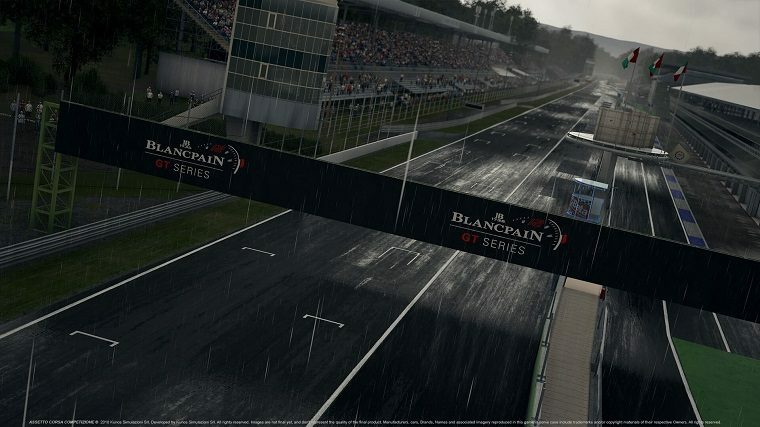 Unlike AC, which comes with extensive mod support and a wide variety of tracks and cars from all eras and racing series, Competizione is to become the official title of the real-life Blancpain GT series. That means the game will do its utmost to reflect the latest Blancpain GT season, featuring a fully-fledged career mode with all of the appropriate drivers, liveries, cars, and tracks, as well as an advanced weather system and day/night cycle for endurance races. The game was launched as an Early Access title on Steam on September 12, 2018, and is planned to be officially released with all features in the first quarter of 2019. At the time of this review, there has been just one update to Competizione since its Early Access release, with four more to come before the launch next year, as outlined by the roadmap you can find on the official website. So far, only two tracks and two cars are available, as well as virtual reality support, and though the game has a good ways to go in terms of features, it already looks very promising. Graphically and aurally, Competizione is a huge step up over AC, which always had a somewhat bland aesthetic and poor sound work. The track surface and trackside scenery is much more vibrant, and the engine note much richer and lifelike. Unfortunately, the game is far from optimized for virtual reality at the moment: hitting the 90 frames per second required to avoid nausea is impossible on even the fastest hardware, and the image is blurrier than in Assetto Corsa. That being said, this is the kind of thing you expect will improve closer to launch, and if you don’t care about VR, the game looks picture-perfect. One of the most promising thing about Competizione is its rating system. The developers are working on an advanced system that analyzes how you drive and can help you identify how to improve. Its primary purpose, however, is to reward fast, clean drivers and filter out those who are either inexperienced or intentionally reckless — a regular trouble in non-regulated online servers. As you improve, so will the competition you face online. So far only a handful of the rating system’s components are active, but I was impressed by what I saw and quickly discovered that it also gave me a goal to work toward, a tangible score to improve not purely based on lap times or finishing positions. All that being said, Competizione is still very barebones compared to the final product we’ve been told to expect in 2019. 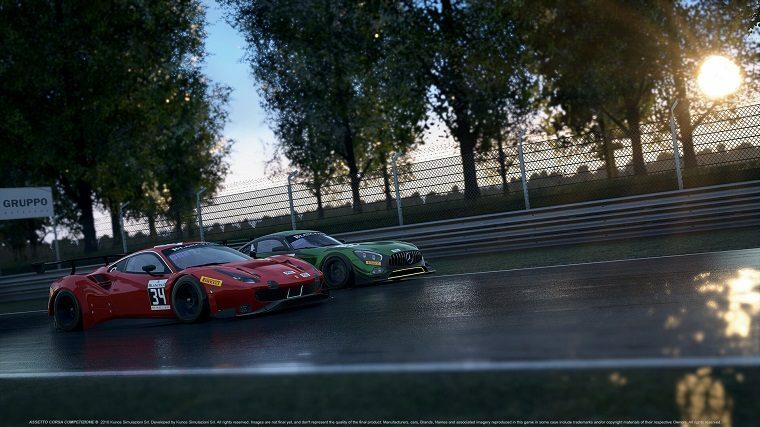 If you’re a simracing addict and know you’ll be playing Competizione at some point, then you may as well pick it up immediately, as the price is significantly cheaper at the moment and will ramp up as more features are added throughout the Early Access period. If you’re still on the fence, wait till launch and watch for the more in-depth review I’ll publish then.